Vplayed, a video on demand and live streaming service, enables content creators to build a white-label video platform to broadcast branded video content across multiple platforms. 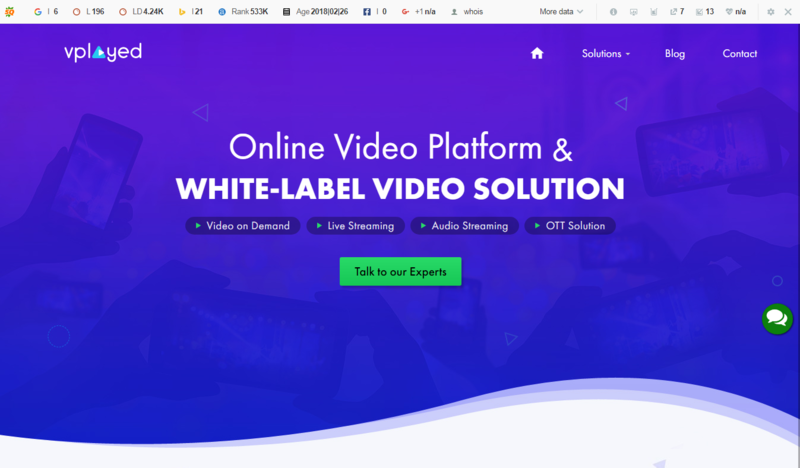 The online video platform is built with features such as scalable hosting, transcoding, video content management, and security to deliver buffer-free video streaming. It also provides behavior analytic reports, current viewership status, and real-time data of how each video is performing. Deliver content on various platforms through video on demand, over-the-top, live streaming, and audio streaming.